How And Why Are Swimmers Getting Faster? The World Aquatic Championships start today and records are almost guaranteed to be broken. 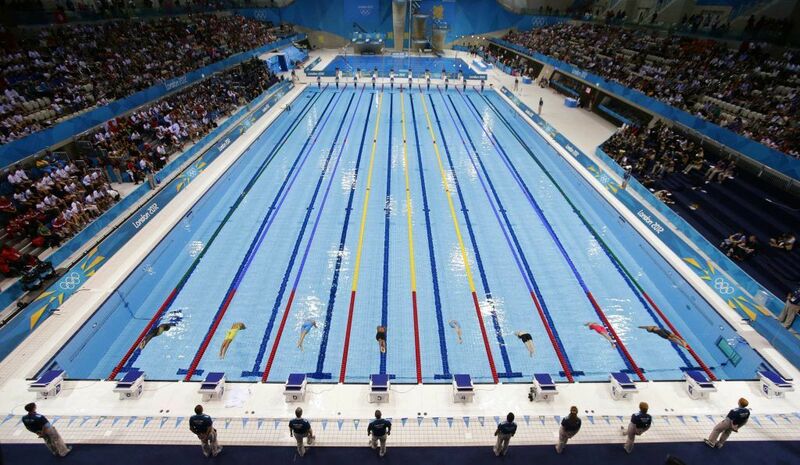 Just take a look at the swimming from the last Olympic games. In the first four days of the Rio 2016 Olympics’ swimming events, six world records were broken. By the time the closing ceremony rolled around a few weeks later, 23 total had fallen. 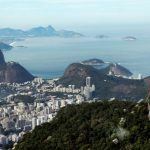 This was far from a freak occurrence, as most Olympics seem to go similarly for swimming. But in a sport where on the surface so little seems to change, just why and how are swimmers getting faster? 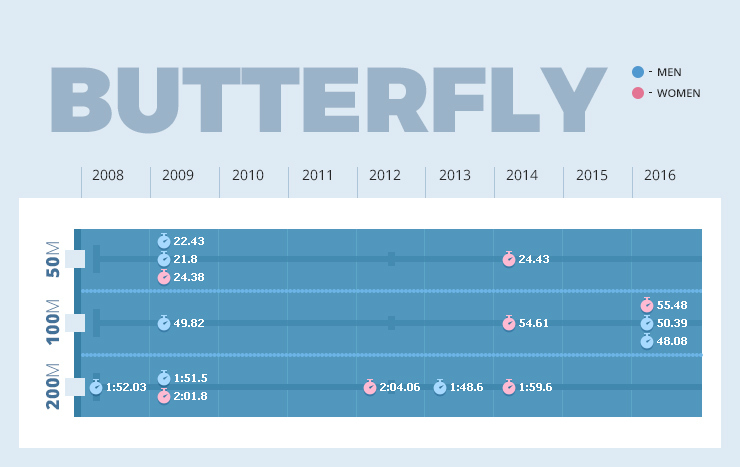 A quick scan of swimming’s world records shows that all-time bests have a short shelf life. 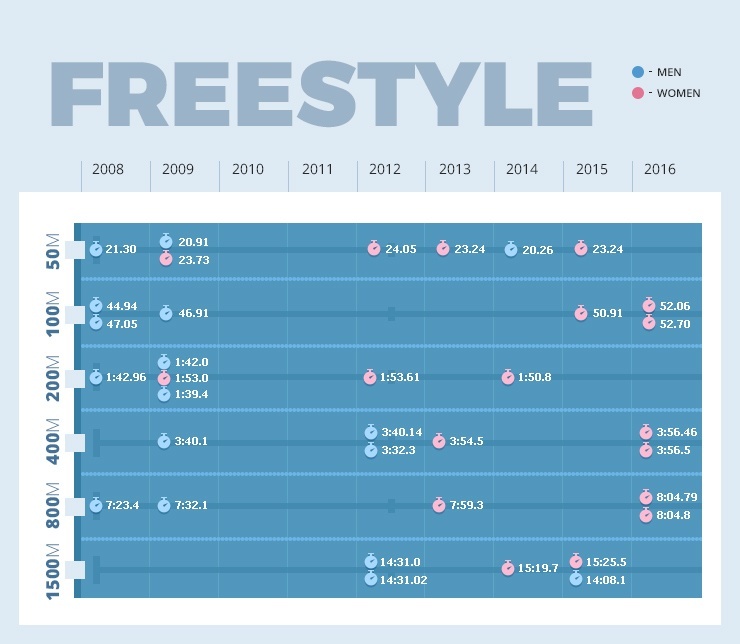 Regardless of gender or the length of course, every single FINA-recognized event has had a record set in the last 10 years. And of those 90-95 total records, 58 of them have been broken just within the past five. 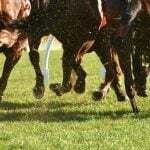 The oldest records still on the books were recorded just three Olympics ago, when Michael Phelps broke the 400 meter individual medley record and was also part of Team USA’s record-setting 4×100 meter relay performance at Beijing in 08. 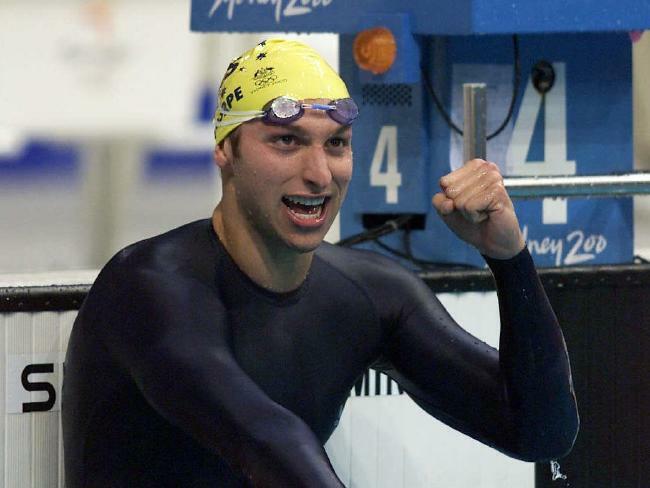 In the months just before and after those games, Aussie Grant Hackett set a still-standing 800 meter freestyle record and France’s Amaury Leveaux did the same for the 100 meter freestyle. 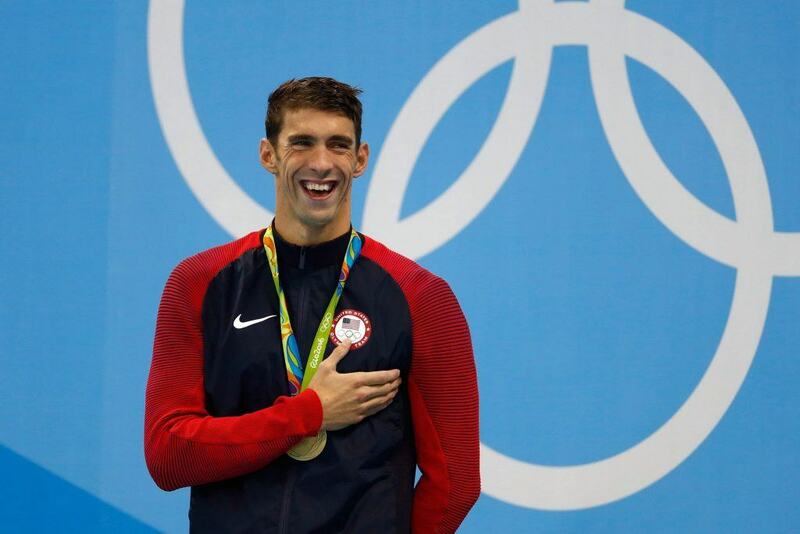 Perhaps unsurprisingly, Phelps has been a prolific record-setter in his long career. 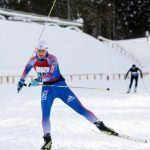 The all-time Olympic medals leader has his name on seven different current records, the most for any man. Hungary’s Katinka Hosszú holds seven records in women’s swimming as well. 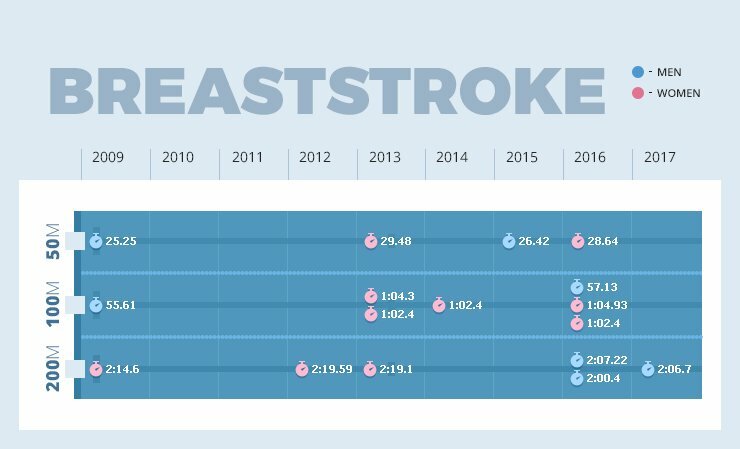 And if you’re into seeing records consistently smashed then the women’s short course is what you want to watch: 24 of its 26 records have been broken just since August 2013. 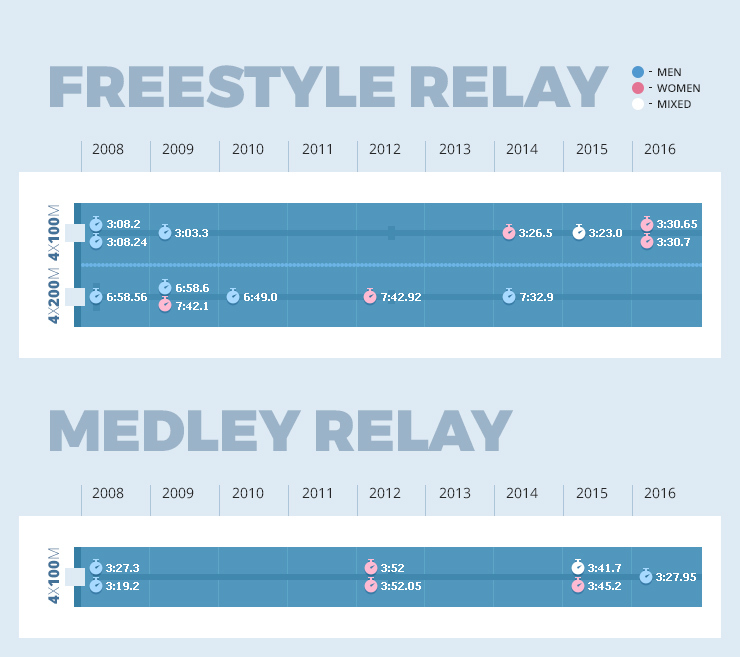 There are a few explanations as to why swimming’s records get re-written at such a quick pace compared to most other sports, including athletics. 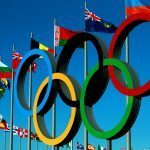 In athletics just 10% of Olympic events have resulted in broken records compared to swimming’s rate of nearly 40%. Most would point fingers first at the advancement in swimsuit technology. 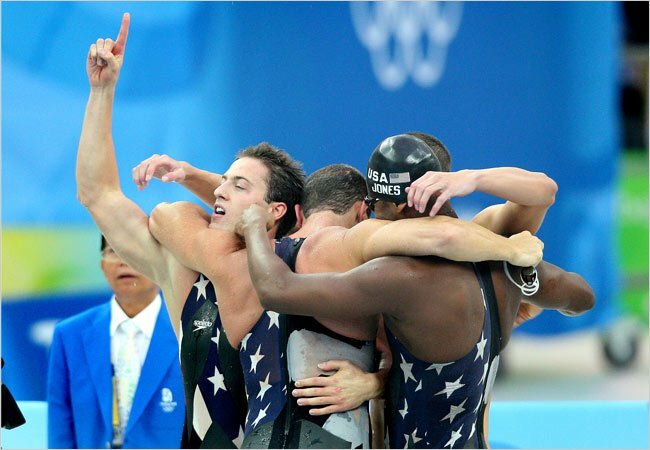 Although full body suits had been around for some time already, in early 2008 Speedo introduced the LZR Racer suit. Made of nylon and polyurethane, the suit increased buoyancy in swimmers, reduced drag, and reportedly lowered swim times by 2-4%. But after swimmers wearing the suit won 94% of the races they competed in at the Beijing Olympics, the suits were quickly outlawed. Since 2010, ‘non-textile’ swimsuits have been banned, and men’s suits can now no longer extend beyond the navel or knee, while women’s can’t go past the shoulder or knee. The advances in swimming technology extend far beyond where the suit stops. Nearly all records from the speedsuit era have since been broken, meaning further explanation is needed. Goggles, which first started to be worn by competitive swimmers in the 1970s, were a simple advancement made to protect swimmer’s eyes from chlorine. That effectively doubled the amount of time swimmers could spend in the water training, naturally leading to better times. The pools themselves have also been built to help swimmers go faster. Since 2008, FINA has strongly recommended that all pools be 3 meters deep, which improves swimmer buoyancy. That depth also reduces surface turbulence, much like newer lane dividers do. These absorb shock and allow swimmers even on the outer lanes to move much smoother through the water. Even a pool’s temperature has been optimized for performance. Competitive pools are kept between 25-28 degrees celsius which keeps muscles just the right amount of warm and loose. That’s not to take away credit from the swimmers (and their coaches) themselves, though. Swimming is a complex, full-body exercise, and as our understanding of sport physiology improves, so too can the efficiency of our movements. When Cameron van der Burgh won gold in the 100m breaststroke at the London Olympics, his stroke rate during the race stayed between an impressive 45-58 cycles per minute. Just four years later at the Rio Games, Adam Peaty redefined what a fast rate in this event actually was, posting an otherworldly rate of 50-60 cpm in his own gold medal and record setting-performance. 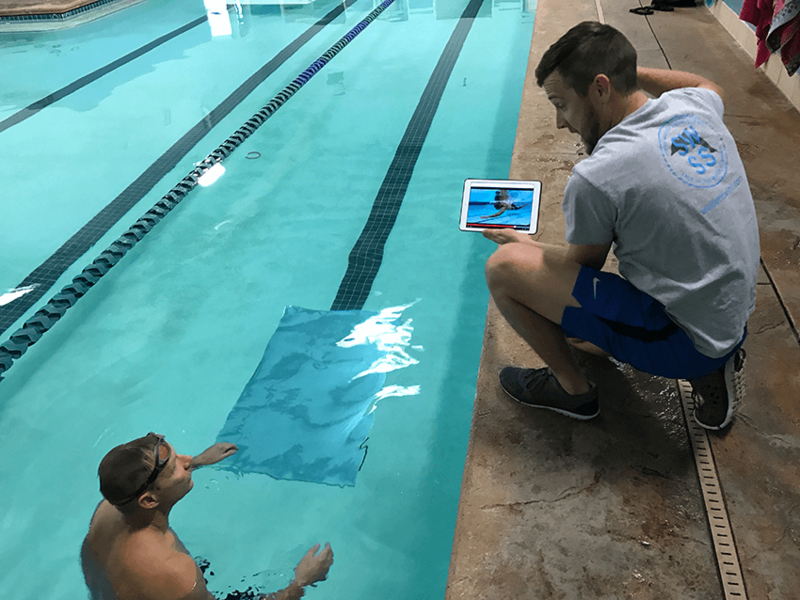 Technologies like underwater cameras, V02 max tests, and better nutrition tracking have allowed swimmers to consistently redefine what is possible in a pool. Economics play a part too: while legendary Olympic swimmers like Mark Spitz had to retire from Olympic competition at just 22 due to strict amateurism rules, today’s top swimmers can enjoy lucrative endorsement deals that allow swimming to be their full-time job. Finally, essentially being blind to what your competition is doing motivates swimmers into giving a near-max effort nearly every race. Unlike in athletics where athletes with a big lead can coast to the finish and save themselves for the next race, swimmers can rarely afford to do anything but go all-out (but potentially break records in the process).